Hungarian is spoken by more than 13 million native speakers around the world. 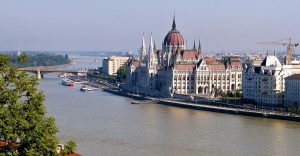 It is one of the official languages of Hungary and European Union. The Hungarian belongs to the group of Finno-Ugric languages and Uralic family of languages. OPAL Translation has a team of experienced Hungarian NAATI translators who can consistently provide Hungarian translation services of the highest quality to our clients. Before we deliver the final translation, we check and double check the project and handle it with professionalism. Our highly skilled Hungarian NAATI translators not only translate your documents but also make sure that your texts adapt to your target audience at the same time retain the message of the source document. Here at OPAL Translation, we localise and translate various types of documents in different fields such as medical, technical, financial, business, education, legal and many others. We have expert linguists who are specialised in each area. We make sure that the translator handling your translations has a background on the document’s content. We process all sorts of documents ranging from academic transcripts, medical records, birth certificates, marriage certificates, legal contracts, manufacturing documents, technical specifications, commercial documents, marketing manuals, ID cards, driver’s licences, police clearances, etc. Our Hungarian NAATI translators have the right skill set, broad experience, and specialisation to handle Hungarian translation requirements of our different clients such as businesses, government institutions, individuals and community organisations. How much are your Hungarian translation services? For standard one-page documents, translations are rated for as low as AU $69. For non-standard documents such as business translations, our pricing depends on each document’s subject matter, deadline and language. You can send us a copy of your document; we will check it and email you a detailed quote for your Hungarian price request. You can get a FREE quotation using the online contact form placed on this page. When can I receive my Hungarian translation? Our Hungarian NAATI translators usually finish a Hungarian document with three pages or less within 2 to 3 working days with our Standard Hungarian translation services. However, if you need a faster translation, we have Express and Instant Hungarian translation services where you can easily receive your document within 24 hours. How can I order your Hungarian translation services? Simple. Follow the steps below, and you’ll receive your translation in no time. 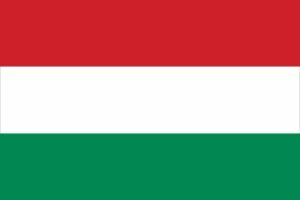 Request for a quote on our Hungarian translation services using the online form you see on this page. When you have received your translation quote and satisfied with the quotation, you can proceed to pay for your order. We accept online banking, Paypal and credit cards. Once the translation process is finished, we will be sending you a draft of the completed document. As such, we will be asking you to review and approve it. Upon receiving your approval, the final soft copy will be emailed to you. If you need a hard copy, we can send you a certified one by Post. Do you have any other questions? Our Live Chat below is available 24/7 so you can contact us anytime and anywhere. Our customer service representatives would be more than happy to assist you with your needs. Here are some interesting facts about the Hungarian language that you probably don’t know. In Nova Scotia, Newfoundland, there is an Old Hungarian inscription on a runic stone on display at the Yarmouth County Museum. This is proof that a Hungarian explorer once visited America even before Christopher Columbus. The British Museum Library located in London has one of the valuable incunabula which is in Hungarian. It is the only language that was able to preserve a huge percentage of its ancient elements. According to experts, Hungarian is one of the oldest Euro-Asiatic languages. Get an instant quote on our Hungarian translation services now! Do you need a quote for your translation project? Complete the translation quote form found on this page and receive a quote in less than 15 minutes absolutely free! Contact us today.